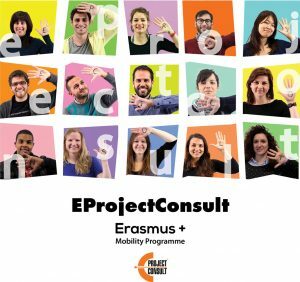 EProjectconsult team take a part in official presentation ‘Azione 7 Giovani e lavoro’ organized by Regione Siciliana, APQ giovani and Dipartimento della Gioventù that took a place in the Mondello-Palermo, Hotel La Torre in 7th of June. The goal of the event been to present the report of the action 7, which main aim been to promote the young people entrepreneurship in the region. During the day experts performed with the speech about importance and prospects of Youth project industry. In the 2011 in Sicilia region been applied 229 projects and 188 of them been approved and realized. Approved project co-financing was 4,2 milj. euro. Authors of the best projects, witch been realized with the European fund support, had the opportunity to present their work in ‘Azione 7 Giovani e lavoro’. Europrojectconsult presented work experience in the project field, successful job with the youngsters and achievement in region tourism development. During the workshop participants shared the best practice, learned something new and built a new contacts.